In a Nutshell: Every year, trillions of dollars are lost to fraud and brand manipulation. The scams can be as simple as a fake online paid advertisement claiming affiliation with a brand, or an impersonation website to trick customers into providing sensitive financial information. Since 1999, MarkMonitor has been a global leader in brand protection services. The company offers big and small corporations the latest technology and information tools to guard against fraud and malicious misuse. As threats grow in number and deviousness, the company has adapted its products and developed sophisticated technology in response. As a result, more than half of America’s Fortune 100 companies rely on MarkMonitor to protect their brands today. If you’ve traveled through a major international airport in the last few years, you’ve grown accustomed to the sight of security guards. A recent trek through JFK Airport in New York City led me past dozens of camouflaged soldiers sporting assault rifles and serious faces. The sight can be frightening to the uninitiated, but it’s accepted as something that keeps us all safe on the ground and in the air. With such scenes commonplace among travelers, shouldn’t they be as accepted on the internet — where fraudsters and scammers steal trillions from businesses and consumers every year through illicit means? Although successful financial brands can’t post guards at the entrances and exits of their websites, as many large brick-and-mortar banks do, one company arms these corporations with something just as powerful — technology and information. For nearly two decades, MarkMonitor’s brand protection services have shielded some of the largest companies in the world.Over the years, the services have grown in number and complexity in conjunction with the threats they protect against. Financial institutions hold vast amounts of personal customer data at any given time. Protection of that information should be of the utmost importance. A 2014 Global Fraud Study found the typical organization averages a 5% loss of revenues every year due to fraud alone. Worldwide, that translates to approximately $3.7 trillion in overall losses. No dollar amount can compensate the loss of customers and reputation such incidents can cause. With the stakes so high and the criminals implementing these schemes getting smarter every day, brands need to take proactive steps to protect their property from malicious misuse. Phrases like dark web, phishing, and malware have become common online terms in recent years. They’ve also become a regular source of headaches for the brands targeted by individuals who have mastered the unlawful techniques. CEOs and other executives have lost jobs, and businesses have been ruined by fraud and brand manipulation. In the financial sector alone, an estimated $3.7 trillion is lost annually due to fraud. 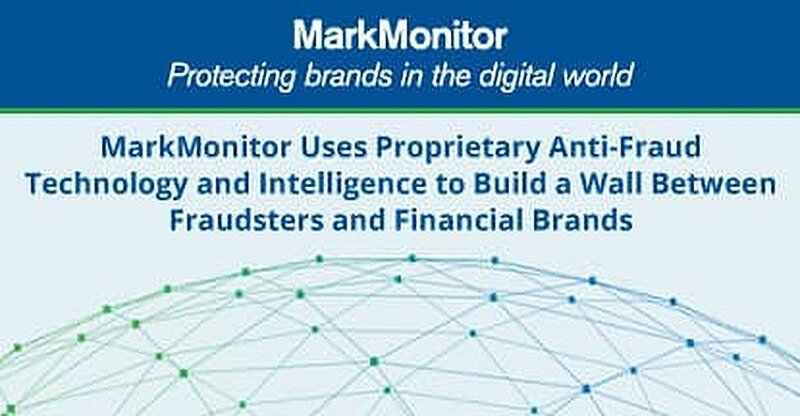 MarkMonitor’s goal is to protect consumers — and the brands they trust — from these threats before they begin, minimizing the exposure and damage they can cause business. Technology is a major part of MarkMonitor’s defense plan for its clients. The constant innovation is what’s kept the company at the forefront of the brand protection space for years. That’s also led it into the dark web, where a vast majority of personal and financial information that’s stolen is sold and bartered to the highest bidder anonymously. MarkMonitor has come to realize through the years that threats to major businesses and brands aren’t only from attackers looking to steal information. My parents taught me early in life that the most important asset a person will ever own is their name. If that gets ruined, it’s far harder to repair or replace than a possession. The same can be said about financial businesses. A name embodies a company’s identity, which, if misused or attached to something that doesn’t meet company values, can do irreparable damage. An estimated 33% of paid search ads in 2015 relating to four major retail brands misused the brand name in the title, link, or text of the ad. Fraudsters impersonating a bank or brand, or falsifying a relationship with a business affects consumers who fall into the trap and takes a company’s reputation out of its control. This can be done through advertisements or impersonation websites that trick consumers into thinking they’re legitimate. Aside from a company’s domain name, seemingly innocuous things, like emails, can also be impersonated with proper-looking logos and formatting to trick customers into providing information. MarkMonitor protects its clients with technology that helps minimize these threats. In a perfect world, MarkMonitor would solve the current fraud problems and make the internet a peaceful, safe place for all. The truth is that most cybercriminals work to stay two steps ahead of online brand protection companies charged with thwarting them. New schemes and programs that put consumers and corporations at risk are constantly in development. The cost of securing your brand against such threats can be enormous if it’s farmed out to multiple firms. Through MarkMonitor, the protection of your brand, and the external monitoring of your intellectual property can be covered by one encompassing shield. MarkMonitor has zeroed in on intelligence as the key focus to online brand protection moving forward, Akino said. 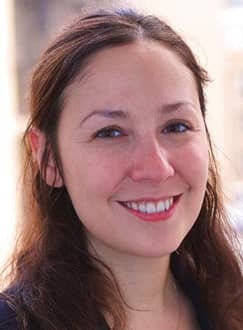 Specifically, the company sees the value in gathering all the data it has — “Because we have a tremendous amount,” said Akino — and using it to dive further into data science. Despite the threats Akino and her coworkers see every day, it still hasn’t dampened her confidence in shopping and banking online. She stresses that doing so is safe — with the proper precautions. For example, instead of clicking a direct link in an email, consumers should go directly to the URL themselves. If you do click on a link, double check to make sure it’s the legitimate site before you input any personal information you wouldn’t normally share with others. Many times, those links direct unsuspecting consumers to phishing sites that may have addresses similar to, but not the same as, a company’s official email address. Legitimate companies never ask for sensitive information, such as a password or your Social Security number, via email or instant message. Although MarkMonitor doesn’t employ armed guards to protect its large customer base, it still provides the same peace of mind that travelers in airports around the world feel when they drag their bags through terminals and checkpoints. That’s something you can’t place a value on.